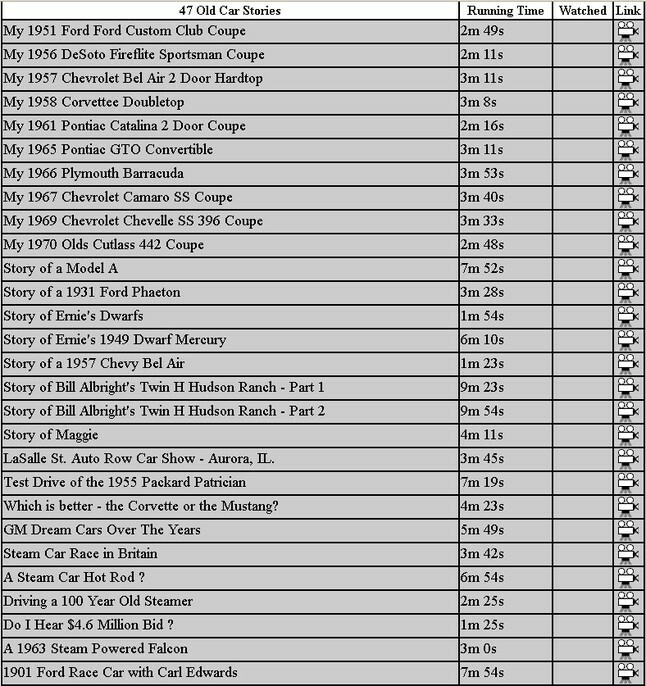 Click on the sample menu below for the full menu of one hundred and sixty six car presentations - from 1 minute videos to 1 hour feature length movies. When the page loads, click on the camera icon "Link" at the right to view the video or movie. Click anywhere on the sample below for the full list.